What a crazy week we had! 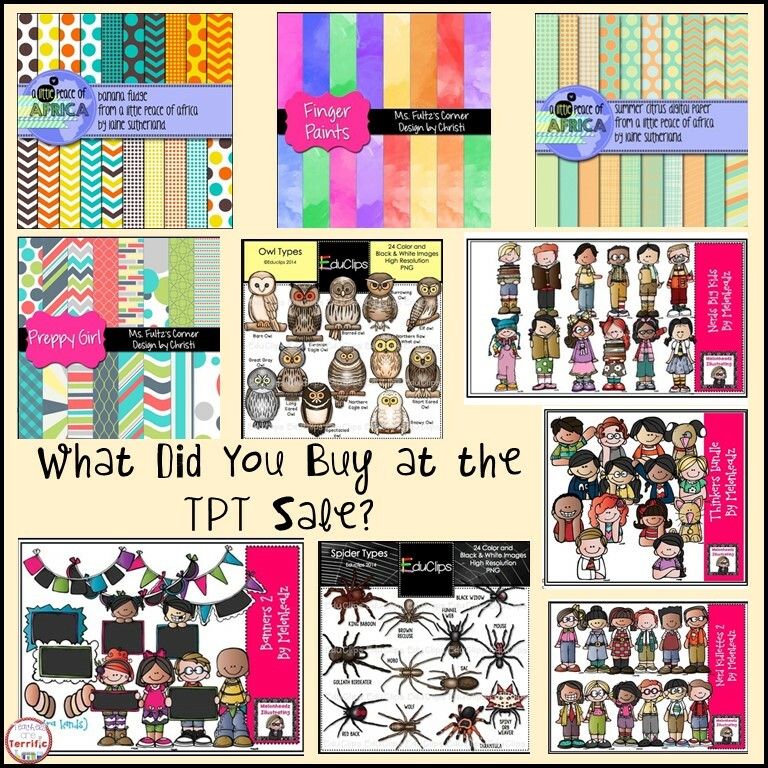 and then TpT had a sale! 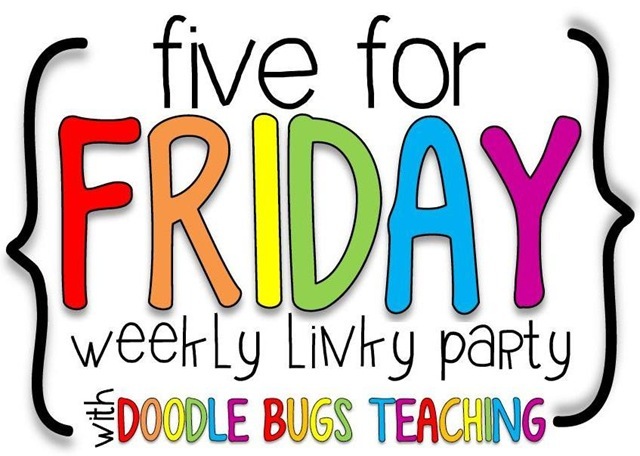 I think this week's Five for Friday needs to be a called "Give Me a Break"! 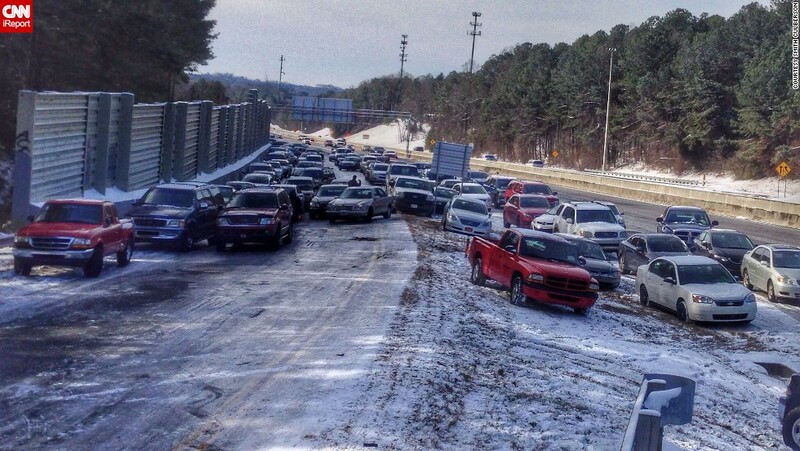 Also known as SNOW in Alabama. That was a year ago in Birmingham. That was the day kids had to spend the night at school because parents could not get there to pick them up. 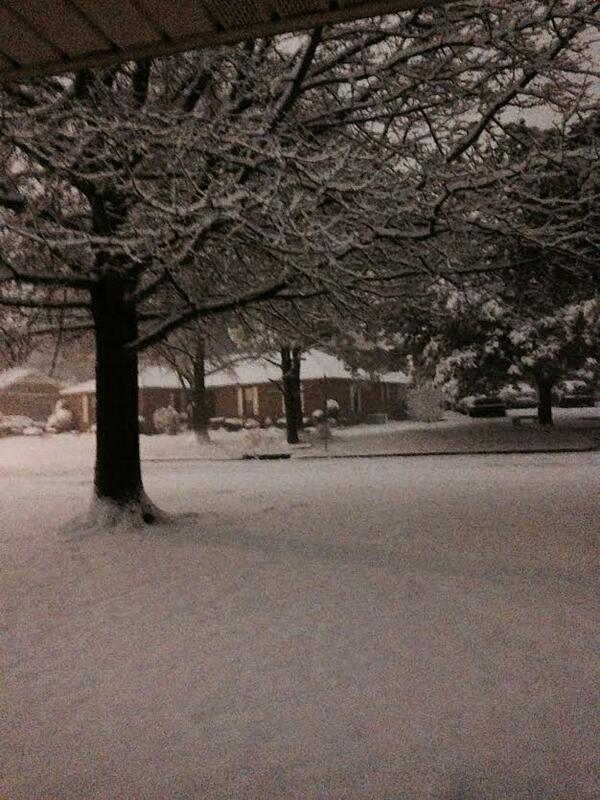 It snowed Wednesday from 1:00 in the afternoon until 11:00 pm. Eight inches! 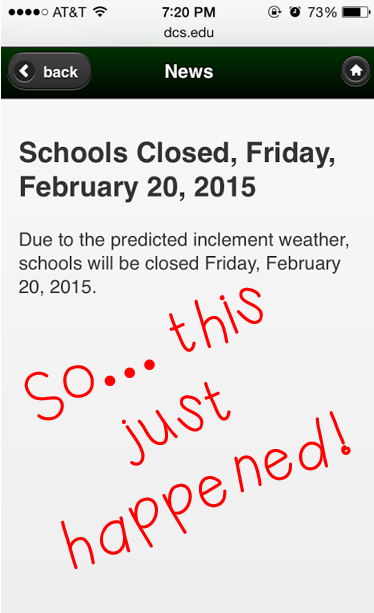 Three school snow days! It's quite beautiful and enough of a rarity around here for us to marvel at. I am sure you guys that see snow all the time disagree! I know someone else that hates snow..... keep reading! This is Wookee. He's a tabby and he loves to go outside. 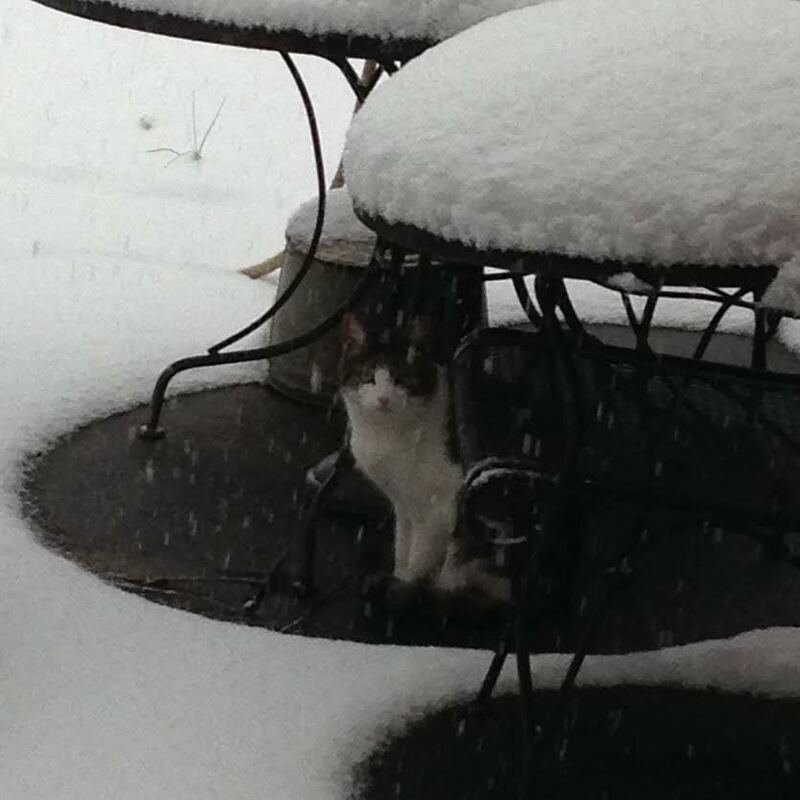 He found a no-snow spot under a table on the patio and sat there for a while. He was not happy! But, c'mon, it is snowing. Come inside! It was compared to Gone Girl in the reviews I read. I am only about half into it, but it is pretty fascinating. The wife discovers her husband has a pregnant very young girlfriend. 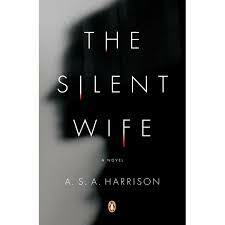 While looking for the book cover image I discovered that the book is being made into a movie with Nicole Kidman as the wife! This is the second book I have read lately that is either a movie or going to be! I'll let you know if you need to read this one! It better have a better ending than Gone Girl! Go visit Christi Fultz' blog for a tutorial on how to do this! She will walk you through the whole thing. I had to play with the dimensions of the power point slide to get it just right. Mine is 4.5 x 1.75. But, give me a break! Why haven't we figured out how to do this before now? Actually, TPT did give me a break!! Look at all the stuff I bought at 28% off and I had feedback credits, too! I hope you took advantage of this sale and snagged some bargains! It's Tower Week in the Lab! So, what are you up to in your science class? Join me and link up your blog post! It will be up for two weeks! 1. Grab the button below to display on your post. 2. 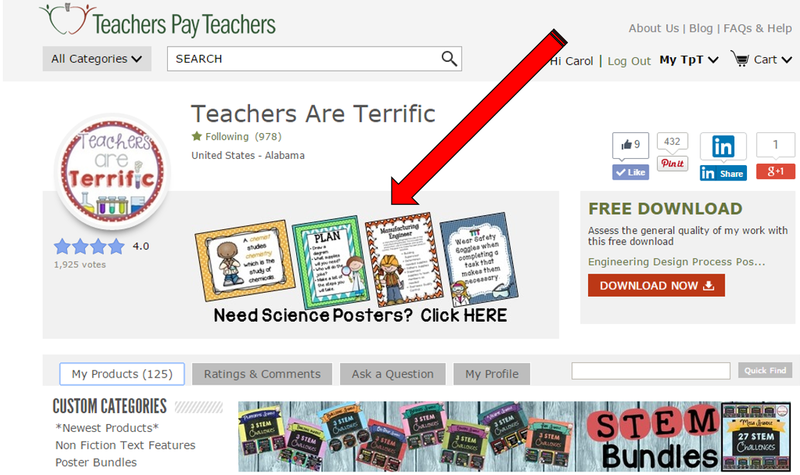 Please link the button back to this blog so our readers can see lots of science topics! 3. Link up at the bottom of my post! 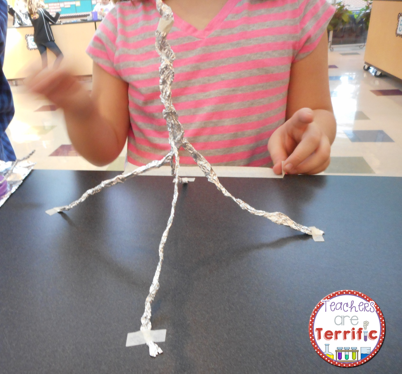 We love to build towers! Sometimes the towers have a purpose or certain constraints. 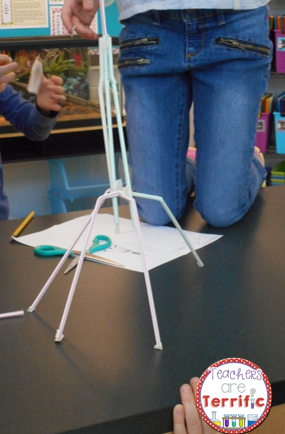 Other times the tower just follows the Engineering Design Process without specific rules. The tower is dictated by the materials! 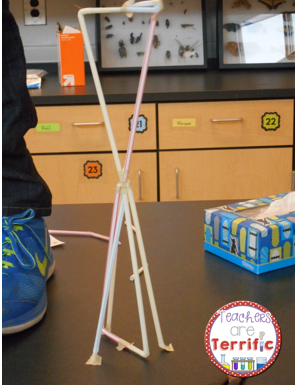 The absolute NUMBER ONE question students ask when I announce we are building a tower is this one, "Does the tower have to support weight?" OR "Do we have something that has to be at the top?" HA! They have learned that I do sometimes add weight and that changes everything with building a tower! 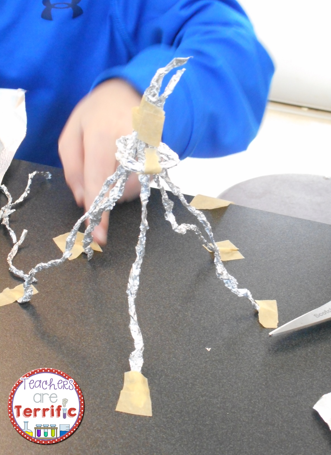 Those spindly strands of spaghetti have to be able to support something! This one is made of newspaper and had to support....are you ready for this? ANYWAY... this brings me to what we have been doing more recently. The challenge was to use a dozen of something and build a tower. No weight was added! One dozen inches of foil. Do you know how flimsy foil is? It's all about the support system for this supply. How many different ways can you roll, cut, and fold an index card? At some point while we were working on these towers I began to worry that there was no real purpose. 1. 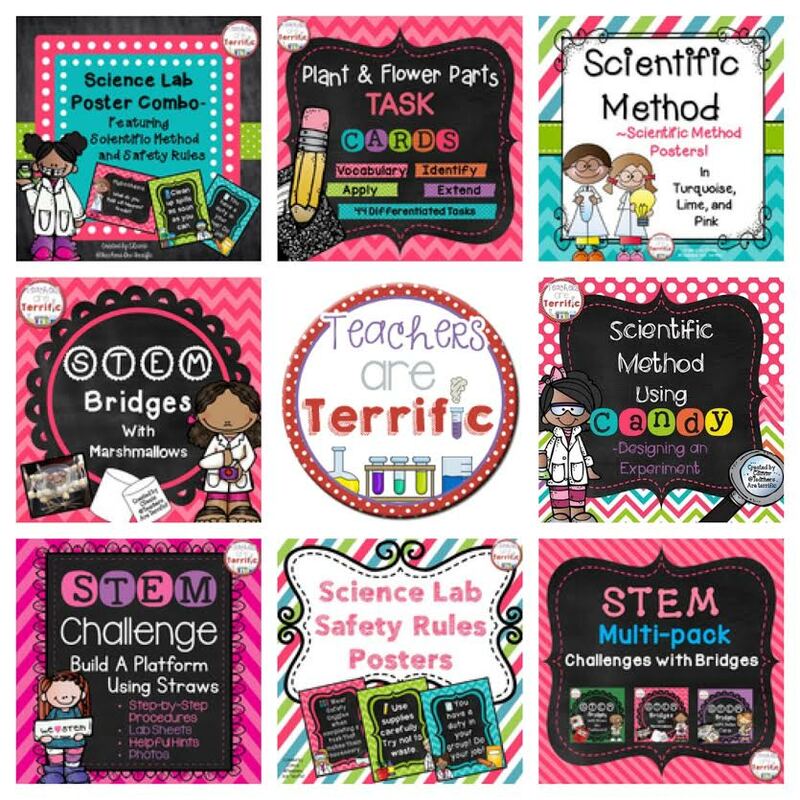 EVERY STEM challenge presents us with collaboration opportunities and the growth we see in how to get along with others and work together is phenomenal! 2. 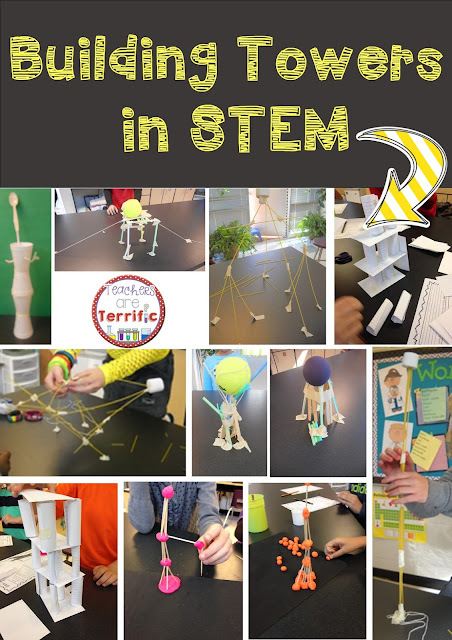 EVERY STEM challenge uses the Engineering Design Process and the kids are learning so much about data recording, planning, sketching, and combining their ideas. 3. 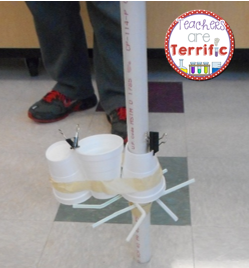 EVERY STEM challenge creates a chance to use mistakes to make something work better. Who doesn't want to do that? 4. It's about the process. It's about collaboration. It's about group dynamics. It's about learning from errors. But mostly, it's about the celebration of success. while waiting for the two hour school delay to be done! Right now, let's thank Kacey for this Weekly Link Up! Sometimes a pattern emerges when I don't even expect it! That was what I saw today. It's the reason for our 2 hour delay this morning. Yesterday we were delayed for 2 hours because of snow. It snowed ALL day, but did not stay on the ground. 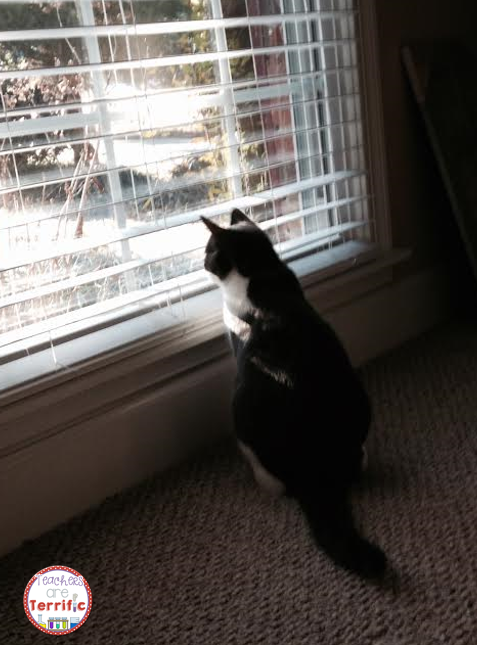 That's Roo, watching birds and squirrels in the front yard. Too cold outside to play! My fourth graders have been begging for Roller Coasters. 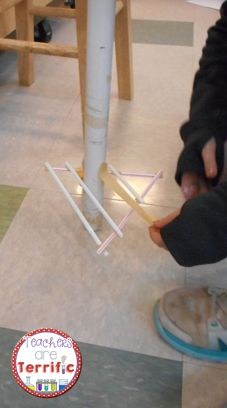 It's a fourth grade STEM lesson, so we tackled it this week. This will last for 2-3 class sessions. So far, we have talked about gravity, friction, and centrifugal force and built two hill coasters to see how the arrangement of hills should be. We also experimented with loops! It is total kid fun! So, last week I was at a thinking point for what to do next with third graders and couldn't decide so I just had STEM Buffet. I set up each lab table with a different quick building kit. 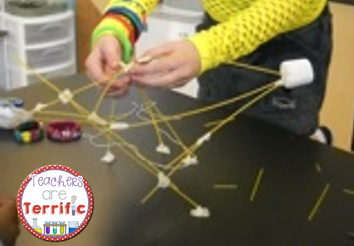 We had LEGO, cm cube towers, giant tinker toys, circuits, math games, and cars. By far, the favorite station was cars and tracks. 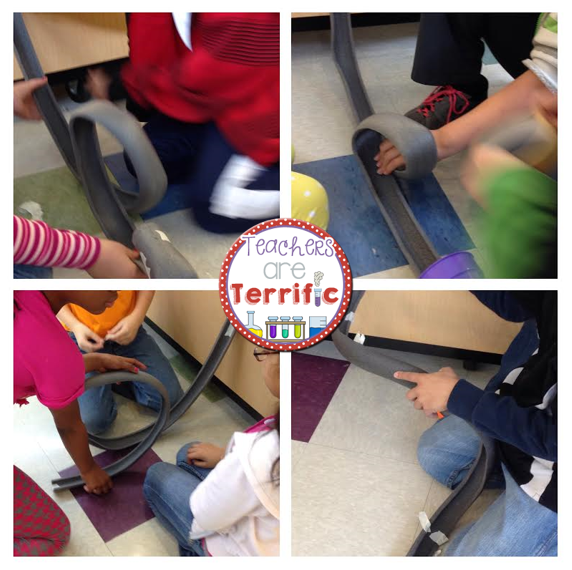 So, this week we built tracks, ramps, and used little cars to test them. Look at the picture on the bottom left. The boys needed to make the track elevated. Clever use of a marker! 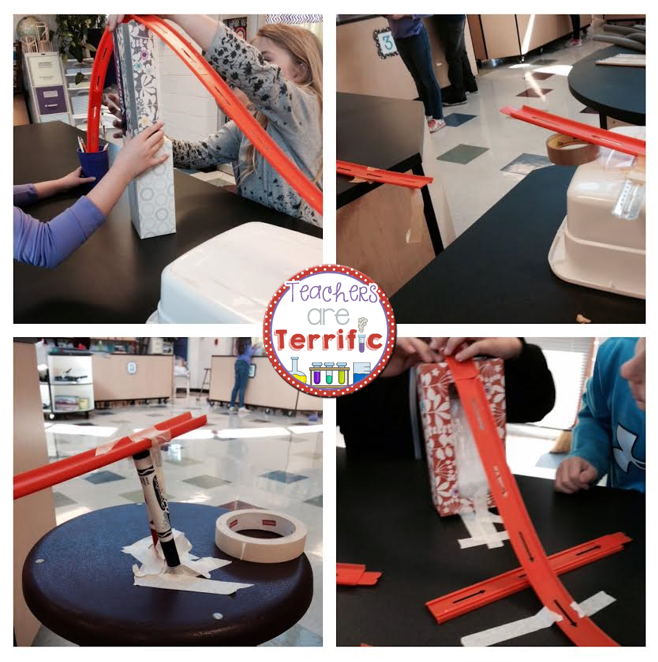 I bought the orange track a really long time ago and used it with Science Club. It's just Match Box or Hot Wheels track. I used it for setting off alka-seltzer rockets one year. Don't even ask if that worked! This week we are being "inspected" by state people. Obviously I have not paid attention enough to know exactly what their title is. I just know they are coming to make sure we are following rules. Like, checking fire extinguishers, safety lights, storage stuff. So, we were told to get rid of some things. We are not supposed to have medicine, chemicals, paint, microwave ovens, refrigerators, tools, cleaning supplies, coffee pots, etc. in our classrooms. OKAY. I get some of that. Totally understand getting rid of old paint. But my classroom is a Science Lab. I kinda need the fridge and microwave. The fridge is full of pet food (it keeps the bearded dragon's giant mealworms from being so wiggly). I also store chemicals (sodium polyacrylate, PH testers, ammonia, vinegar). And, the cleaning supplies. Are you kidding me? I use 409 spray and Windex everyday. Who do you think cleans up after classes leave? 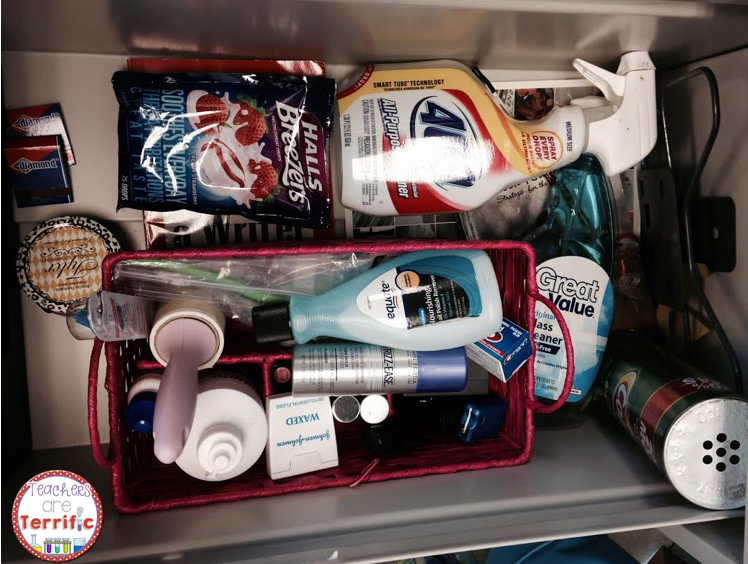 So, anyway, I hid my stash of cleaners and personal junk in a locked filing cabinet drawer. I boxed up my coffee pot and hid it in my storage closet. S0, that's a candle and matches, several cleaners, cough drops, make up, nail polish remover, 4 toothbrushes and various toothpaste containers, floss, hair spray.....sounds really dangerous right! Next week, I will drag it all back out. Jeez. Yep, that's right. 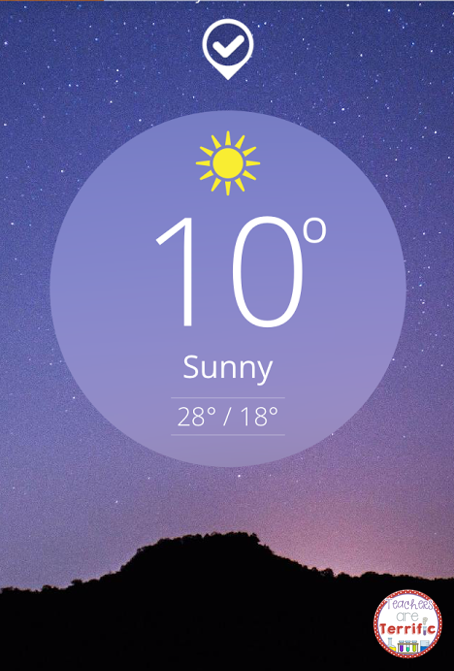 It is predicted to be awful in the morning so we get to stay home! Yahoo! Well, except for the possible really bad weather and the loss of a spring holiday now! Don't forget to link up next week with your science post. It will be on Wednesday, February 25th. So many things going on this weekend! Oh my! I know you all are just as busy as me, but let's try a little randomness with Five for Friday. Well, it is not really random, This week is very purposeful. You should not believe the purposeful comment I made above, I have plans for posts all the time, but then they meander into uncharted territory. Anyway, thank you Kacey for hosting our favorite weekly linky! So, let's begin with my purposeful questions for you this week! 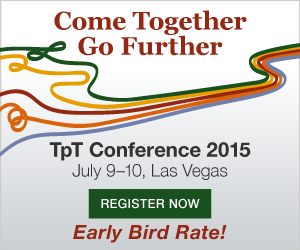 Are you going to the conference in Las Vegas? Don't click on that image. It won't take you anywhere. But seriously, are you going? I wanted to go last summer, but just could not part with the money. But this year we are making it a summer vacation and after the conference we are going to the Grand Canyon! I am very excited about all of it- but mostly just to meet some bloggers and TpT friends! Do you ever read those messages from TpT sellers that you follow? I know I have mentioned it here in the past. Some people have told me they never do. I am guessing it might get a little annoying. But here's the thing- some sellers have fun little special things in those notes. Freebies or announcements or things you really need. This week I got a note from Getting Nerdy with Mel and Gerdy that was just packed with ideas and photos and things! including a typo near the end, UGH! I hate when I do that! All those pink things are part of my Surprise to Followers for February 14-15th! What is your favorite online store? I need inexpensive, preferably tunic length, tops to wear with jeans. I LOVE it! It is the softest and a good length. It is maybe even a little bit long on me. That's what happens when you are, like really short. That top came from Nordstrom, by the way. Click on it to get to the page. It comes in lots of colors! What is on your wish list at TpT? 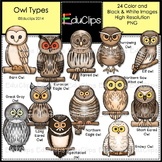 Mine is almost all clip art, but some science related things. Is that gorgeous or what? 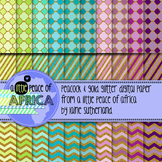 That's from an amazing little store called A Peace of Africa. yet! But I am gonna get it for something! It's from Educasong! Then you need to write about it and join my linky! It's up for about ten more days and it is spectacular! Especially if you love science. If this is a long weekend for you, enjoy it! 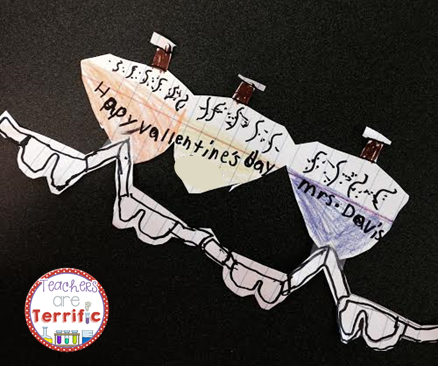 I leave you with this very special valentine. One of my precious students made this for me. It's made of notebook paper. Hand drawn. Are you ready for some Egg Drops?! I took out the silly link up rules and just left the good stuff! So, what have we been doing in our lab? Let's talk about EGG DROPS! 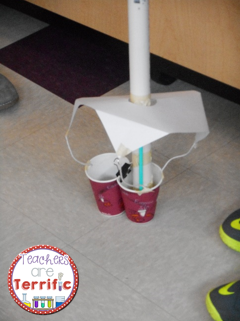 I had this great idea about adding to a parachute type drop that we have tried in the past. 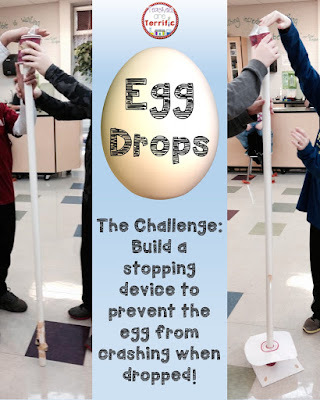 The original version of this challenge was just to build a braking system for a dropping object. Well, I added a scenario to the task about building a ride with an egg for the passenger. Kids had to build the braking system with a way to also slow down the dropping passenger. They had to use cups for the passenger cars. 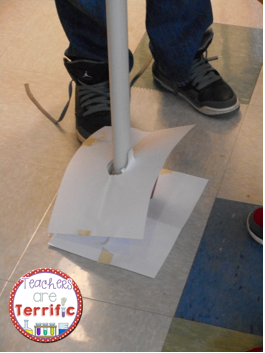 The team above actually built a parachute out of paper to help slow their dropped passenger. The team above used straws as a stopping platform. Maybe just a sheet of paper will slow it down! Here's a view of the entire device. It was a five foot drop with weight in the passenger car that was eventually replaced with an egg. We only had a few splats! The one above was my favorite! One of the supplies was a piece of string, but it was too short to tie to the top and just have the passenger bungee jump to the bottom. 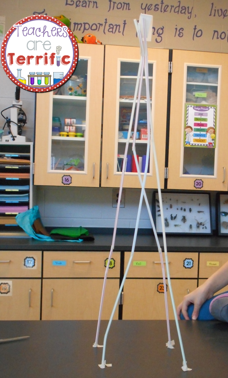 So, this team connected straws to the string to make a long enough "rope" to use as a connecting cord. It worked! 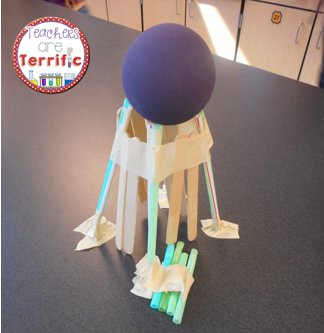 This STEM challenge was, by far, one of the best we have done. The kids loved it! So, what are you doing in your Science class?